Hello and happy Friday !!! Here is the design I stitched for my sister finally framed... I think it looks great and I can't wait to show her. Now, I just need to figure out how to pack it for my trip to Spain. I leave on June 3rd and fly home to my parents. On the 5th of June, I take the train to Barcelona with a dear friend from my home town, and in Barcelona, we both join the Silver Needle Mediterranean Cruise. I am so excited about it and I can't wait. I'll make sure to post pictures for everybody to see. More posts to come soon. 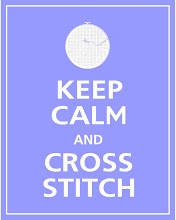 Have a great weekend and stitch a lot ! Hola y Feliz Viernes !! Este es mi diseño que he bordado para mi hermana ya enmarcado. Creo que ha quedado bien. Ahora tengo que averiguar como ponerlo en la maleta para mi viaje a España. Lo mas probable es que lo tenga que llevar como equipaje de mano. Me marcho a España el 3 de Junio, y el 5 de Junio me voy a Barcelona con una amiga para unirnos al crucero por el Mediterráneo que Silver Needle organiza. Me hace mucha ilusión.... Ya os enseñare las fotos a través de este blog. Espero que paseis un buen fin de semana !! I think your project is really cute. Lovely! Love the frame too! I hope you can pack it up ok for the trip. Have a lovely time! 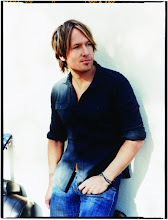 And the cruise too -- lucky person! Si se apunta más gente al Round Robin te aviso por si te interesara participar, de momento no hay mucha gente... De todas maneras, mil gracias!!!! My First Design/Mi primer diseño ! !